Evrim Emiroğlu for Comité Directeur: "I Would Like to Encourage All CD Members to Join Network Trips"
Evrim Emiroğlu is Vice-Speaker of the Network Commission and has been part of our organisation for six years. The 24-year old member of AEGEE-Eskişehir sees it as natural to take a step further and runs for the Comité Directeur at Agora Kraków, ideally for Network Director, but with a strong focus on restructuring the EPM. Take a look at her interview! Erika Bettin: Can you please introduce yourself, your life in and out AEGEE, your passions? 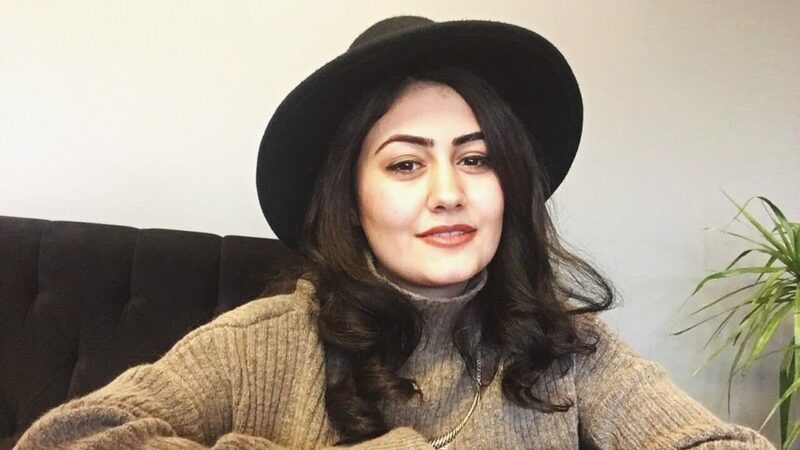 Evrim Emiroğlu: I am 24 years old and I finished my bachelor in Economics in June 2017. Currently, I am doing a master program in Economics. However, I have still my doubts whether this is what I want for rest of my life, so I am looking for other experiences and opportunities. My hometown is Ankara and I am from AEGEE-Eskişehir. I have been AEGEE member since spring 2012. Since then, I am addicted to AEGEE and the organisation is always the middle of my life. I am a person who loves new experiences, I push my limits and have never been afraid to leave my comfort zone. I always find myself busy without noticing and query myself how I came to this point again and again. Which will be your core values as Network Director of AEGEE-Europe? During my term in the Network Commission, I was assigned to 11 locals. In the beginning, I believed that I can easily work with them because I know the culture and dynamics. Later on, when I started to work, I realized that I knew nothing. Even though they are in the same area, every single antenna has their own culture. Presently, I am running for a position which has responsibilities towards the whole network. I believe, one of the most important features of this position is to realize the diversity and to have a sensitivity to different realities. Moreover, this position requires having an attitude which is open to learning from different experiences in order to develop equal and fair treatments. Finally, I always believe if the aim is increasing the quality, honesty and critical evaluation is the way of reaching the goal. In your candidature you are mentioning that you want to work on Agora Istanbul because you know very well the members. Considering that normally the CD appointed member for the Agora is the Secretary General, and the work does not only involve local organisers, what is your knowledge of the organisation of Statutory events? And would you be willing to partake to Spring Agora 2019 preparation? I see that the candidate for Secretary General is qualified for the statutory events. I don’t need to have an exception to become main responsible for giving a hand to the work. For me, this is a matter of teamwork. I attended nine statutory events until now and Agora İstanbul will be my 11th statutory event. I am aware of the needs regarding the content and organizational part. 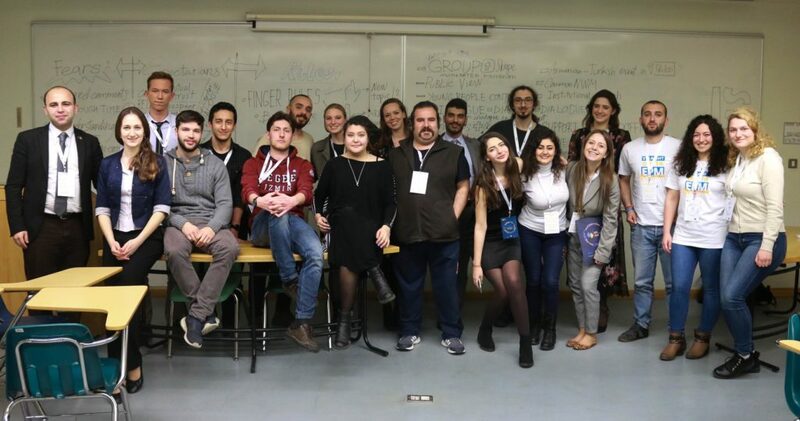 The realisation of Agora İstanbul depends a lot on the local context; I have a background about the reality of the continent when it comes to organizing a European event and external representation, I can offer my support both to the core team and my team. And yes, I can take part in the preparation of Spring Agora 2019 if needed. You said that you want to strengthen some already existing thematic projects. What about creating new ones? A part of those you mentioned, pretty tight to Civic Education, which direction should AEGEE explore in order to initiate new projects? AEGEE is the platform in which I have seen great mutual tolerance and effort in terms of finding a common ground. The organization has a great potential and capacity for the launch of civic dialogue projects between countries in conflict. The Turkish-Armenian is one of higher interest and needs for a long time. It is amazing to see that there are people who are willing to revive the initiative. The first statutory event took place in the Caucasus Region in this year. Following there is another one in Istanbul. I believe we should use this great opportunity to initiate a new project. Moreover there are much more areas that AEGEE should explore. For example, most students in Europe are struggling with the unemployment problem. In my opinion, AEGEE should continue to spreading non-formal education and improving youth development skills. Finally, on the other hand, I think the role of CD is not to direct the organization but to support the direction which the members agree on. In this sense, my role in CD will be to try to support all kinds of projects regardless in which direction they will be. “Network Commission should be aware of the work the Comité Directeur is dealing with. Therefore, they should get regular updates and involve the work process as much as possible in order to ensure transparency between the Netcom and CD.” You are in the NetCom right now. When you are mentioning that the NetCom should be aware of the work of the CD are you speaking by experience, meaning that not every time it happened? How would you like to ensure transparency between the bodies? 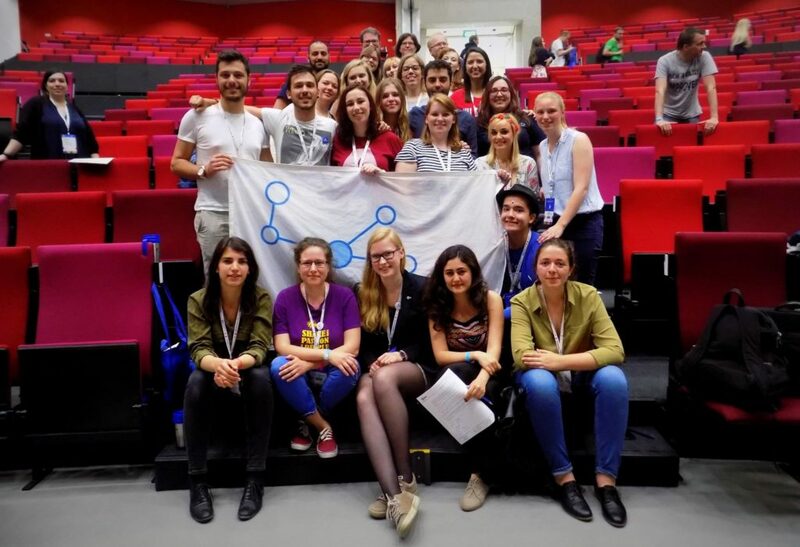 Communication is one of the most important aspects for organizations like AEGEE in order to ensure a sustainable, strong and connected network. When you have people who are really passionate and able to work on development and implementation, they often put the communication on the back burner. Even though it might sound okay, the past experiences in AEGEE show us the organization might not able to judge the work from outside in a professional way all the time. In this regard, I think this would be better to try to include people as much as possible in process so that they can discover the obstacles and benefits of the work themselves and feel the ownership. A bold and revolutionary antenna criteria reform will be presented at the Agora. Since the Network Director is actively involved in checking criteria, what it is your take on the proposal? Would you like to change something? The impact of this proposal has two dimensions. One is the impact on locals’ obligations and another one is the portfolio of the Network Director. From the local side, according to feedbacks that I gathered from my area, locals are divided into two parts. On one side, most of the new locals are believing these obligations are giving them a chance to learn about the methods how to keep the locals sustainable. On the other side, there are stronger locals who are not willing to spend time with most of the bureaucracy and who are believing writing these reports is not making their work visible at the European level. Regarding the Network Director aspect, we are facing crucial problems regarding network development for decades – such as a not connected network, lack of sustainable and strong locals, lack of internal education or lack of sustainable enlargement. The question is simple from my side: do we want a Network Director who sits in front of the computer and check or fix, which antenna wrote which name wrong so that these members cannot attend the Agora and spend 60% of the time for administrative work? Or do we want a Network Director, who focuses on the development and implementation of the topics which I listed above? You said that “the Academy being the one and only executive organ that could enhance the quality of trainings methodology”. Considering that many times open calls for trainers for European Schools and other trainings are issued to the Network, regardless their appartenence to the Academy, do you think that only this partner organisation can be in charge of the methodology? On this regard, do you think that the proposal involving the Convention d’Adhesion of the Academy can change the current situation? Well, maybe I used methodology as a wrong word. I will explain from beginning what it is in my mind regarding this topic. First of all, the AEGEE Academy is the organ which should provide trainings to the Network. In the last years, the Academy seems like a body which is mostly working on European level trainiings. However, these events are not reachable for everyone because of financial issues or packed calendars. Therefore, unfortunately often we can see the cancellations of these events because of the lack of participants. Moreover, when it comes to the reality of internal education in AEGEE, this responsibility rests on the locals’ shoulders. Therefore, they have their own training system and their own trainers pools, which is working perfectly in some areas. However, not all of them are connected with AEGEE’s general training system and receive enough support from the European bodies. In my opinion, the way to increase the quality of education in AEGEE is working with areas and even locals individually, instead of focusing on European events. There are so many amazing people and tools in some locals which are organizing great training events. It would be a great achievement if we can make a connection between them and the Academy and introduce or adapt these tools to other locals and areas. In this context, for me, Academy and Network Commission should work together. Netcommies can help providing information which locals have what and what are conditions of the areas and Academy can work on the quality of the system. How would you like to reconcile the drafting part with the content part of EPM? How do you think you can manage to introduce the training and workshop part in the meeting when the agenda is already packed and often there is not enough time to dedicate to neither content or drafting – hence one of the proposals for this Agora? Well, the European Planning Meeting is a planning event of the thematic focus of AEGEE for one year. When we have a lack of quality and another focus takes more time, I cannot see the purpose of the event. If we really want to keep this system, I think we should definitely focus on development. Like I mentioned in my application, I am not against having a thematic concept for the event. I was the one trying to put the thematic concept to my two NWMs in this year. However, for this I also made these events one day longer than usual so that we can have time for the purpose of the event and for an additional focus. This would be the first solution that I would like to propose for the next time. Secondly, the reason that drafting part is hard for the participants is because drafting a plan requires specific competencies, proper knowledge and a need assessment of the topics. It is not possible to take all these steps in just one event with participants, who are not representing their locals. There is work to be done before the EPM to gather input from the network. And the EPM should be an event where you learn how to draft the agenda and finalise the work. How would like to bring the CD closer and more visible to the locals? On this topic, I am just simply inspired by the former and current CDs’ work and I would like to continue with this. As an example, CD on Track was one of the initiative that I admired. If conditions are suitable, I would like to continue it in the upcoming year. Moreover, in this year, we always tried to use opportunities to visit more locals after NWMs and the EPM with my CD couple Loes and former AEGEE-Europe president Réka. After NWM Gaziantep, we visited AEGEE-Hatay, AEGEE-Adana and AEGEE-Ankara. During these visits, we met with Rector of University, the Mayor of the Metropolitan Municipality and some external organizations working on Erasmus+ projects and refugees. 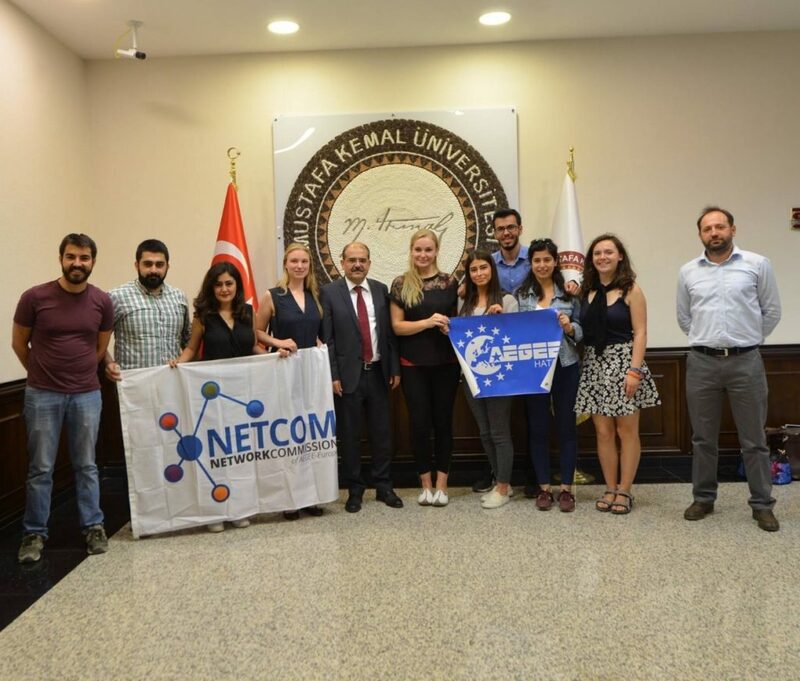 After NWM İzmir, we visited AEGEE-Eskişehir together with Loes. Additionally, we had meetings with members of locals in each direction. These are the moments that create space both to locals and CD to share their knowledge and opinions on various topics and to create a bond. This is giving locals a chance to be present in strategic places together with European representatives. In this regard, I would like to encourage all CD members to join network trips, founding trips and work closely especially with the Network Commission. We can still strengthen this dialogue, by keeping contact with locals in person, by encouraging the members to involve in new initiatives, by consulting AEGEEans about their opinions. I am willing to work with the Communication Director to create a strategy and brainstorm new ideas. Since the lack of implementation is one of the biggest problems in our association, think for a moment that you are in the Comité Directeur and all your ideas are featured in the CD56 activity plan. Pick a project you would like to implement among those listed in your program and create a feasible timeline for it explaining how you would like to do it. For me, one of the priority would be the European Planning Meeting reform. By September I would discuss with the European bodies I am working with, how is the issue now. And I would gather feedback from alumni or experienced members. From October to November I would use the Autumn Agora and NWMs to discuss the issue with the locals. This topic can only be implemented if the locals are believing in it and if the idea comes from bottom up. By December it should be clear if the project can be implemented in the same CD year or if it should be a motion that the next team should take on. If it is possible to implement it, during December and January the idea should be prepared for the next EPM. After the EPM, we can discuss the results in the Spring NWMs and present it during the Spring Agora. Based what happened within CD55, how would you prevent resignations within the team? Well, there can be millions of probabilities which can stir up people like this. I don’t know how to answer this question with or without covering all the possibilities. However, there are some overall facts when it comes to building a healthy atmosphere in a team. First of all, you can hope that the workload will be equal between the team members. However, in every kind of team there is a capacity difference between people. It is important to realise the difference as soon as possible, accept this and act according to that in order to keep the motivation of every member of the team. Comparing people to each other or mentioning often the quantity of work done by each members is a way of initiating conflict in the team. Besides, every members should have awareness about what is privacy and what is the data that you can share with others in order to have trust inside the team. Finally, it is important to remember that we are not employees, this is a volunteer organization. Being a team not only means a group of people who works, develops and implements something, but it means that beside the work people have a special bond, care about each other, are able to understand, show tolerance and support each other on every kind field. You can read Evrim’s full candidature here.